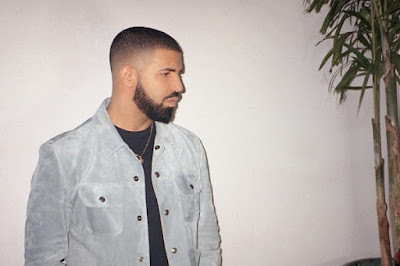 To the unconcerned consumer, Drake's career hit a new plateau with Scorpion, an album that broke all sorts of streaming records, a few previously held by the Toronto rapper himself. To the Hip-Hop community however, his character now bears a vicious scar after falling victim to Pusha T's venus fly trap known as 'The Story Of Adidon,' after baiting him with Daytona's 'Infrared.' Ironically, the latest stint in their long-feuding beef is what gave Scorpion that final marketing push Drake sought, leaving the legion of hecklers grumbling in Pusha's defense despite another win - if wealth accumulation is the goal which, let's be real, it is for both - for Drake's camp. In regards to the beef itself, Drake's admittance of his undisclosed son on 'Emotionless' and 'March 14' revealed a maturing artist, one who sees the birth of his son as the turning stone to another venture in life, one that doesn't fester on petty squabbles. That's at the crux of Scorpion, his most honest and sincere record yet. Unfortunately, a tiresome tracklist filled with repackaged content prevents Scorpion from being Drake's best effort yet, although the discrepancy is closer than you'd think. On 2016's Views, quality control quickly became the primary topic of concern. Rarely does a 20-track, 81-minute Pop Rap proceeding result in a viably-cohesive project. Instead of dialing it back - something Kanye West weakly attempted during his seven-track era - Scorpion ratchets things up a notch with 25 tracks covering a daunting 90 minutes akin to Migos' failed Culture II. Lazily dividing up his Rap and R&B halves through a double LP faux - one such gimmick that becomes mute on account of the indistinguishability - Drake's ambitious efforts fade once realization sets in that, structurally-speaking, Scorpion's a glorified mixtape a la 2017's More Life. Apart from decided opener 'Survival' and closer 'March 14,' every other track is interchangeable regardless of which half it lies on. 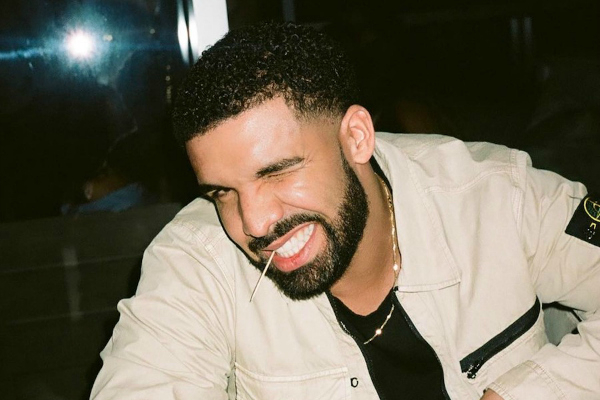 There's never been a clear distinction between Drake's fundamental outlets, as his aggressive bangers (as seen here with 'Nonstop' and the Jay-Z-assisted 'Talk Up') always exhibit an underlying frailty, whereas his schmaltzy bedroom ballads ('Finesse,' 'After Dark') feel invariably dirtied by Hip-Hop norms. Partly because of quality and partly because of length, never before has a Drake album featured so many redeemable moments. Yes, it's incredibly long and can't be ingested on one listen without becoming sickened with the thought of Drake. The lack of features, with only five (including a poorly-utilized Michael Jackson cameo on 'Don't Matter To Me') to boot, doesn't help. However, standout hooks or deeply-scintillating beats frequently emerge amidst the rubble. The first instance occurs on 'Nonstop,' a grimy Memphis Rap joint that smudges its crispness with a Mack Daddy Ju sample. Next up, 'Emotionless' deserves recognition for content and delivery, all over Soul-flavored Boom Bap that Drake hasn't hinted at before. The same approach is given to 'Sandra's Rose' and 'March 14,' forming an aesthetically-pleasing trifecta from No I.D., DJ Premier, and T-Minus respectively. Elsewhere on the far superior first half there's 'God's Plan,' an undoubtedly solid Pop Rap ballad, '8 Out Of 10' which livens up a party crowd, and 'Talk Up,' even if the outstanding DJ Paul banger should've gone to a more grizzled emcee. While Scorpion's first half is marred only by the irrevocably-bad 'I'm Upset,' 'Elevate,' and 'Mob Ties,' its second half shifts perpetually like a storm in flux. Most notable is the errant positioning of 'Nice For What,' Drake's career-championing pinnacle that's annoyingly sandwiched between two ugly, downtempo R&B blunders: 'Jaded' and 'Finesse.' Along with 'Peak,' 'After Dark,' and 'Final Fantasy,' these Scorpion misfires decisively nail Drake into his R&B coffin; a place, theme, and vibe that should be put to rest. Thankfully, the Bounce lean that excels on 'Nice For What' - making it one of 2018's best tracks - takes form on the increasingly-popular 'In My Feelings.' While not as successful, the upsurging scratching and Drake's knack for leeching one-liners ("Kiki, do you love me?") culminate on 'In My Feelings,' giving the back half of Scorpion its much-needed punch. Interestingly enough, the Bounce aroma springs off the 80's synths and jungle drums of 'Summer Games,' one of Drake's more alluring efforts. In it, 40 and No I.D. build a monument of interlacing elements around the singer, bringing about a potent nighttime festival atmosphere that will surely succeed in its operative setting. Despite the staggering level of successes for a Drake album, at the end of the day Scorpion still distributes 25 gifts that may or may not be worth the receiver's time. Useless parameters with no formal cohesion leaves Scorpion with no resolute, leading the ordered tracklist to feel like nothing more than a shuffled playlist. Redundant filler nearly reaches double digits. And grating relapses in know-how ('I'm Upset,' the baffling 'Ratchet Happy Birthday') offset occasional triumphs. There's just too much Drake discussing self-absorbed melodrama, even if the sincere moments like 'Sandra's Rose' and 'Emotionless' spark up from that surplus. I say this with no reservations; Scorpion could've been great. Instead, we're left with bouts of dynamic production, stimulating flows, and Pop-bound choruses caught in the rubble of tracks starkly attempting to imitate them.